I hate to be Captain Obvious here, but fringe has been everywhere the past couple of seasons... What you might not know is that the trend isn't going anywhere, anytime soon--And we're pretty excited about that. Fringe is no longer just for flower-child-wanna-be tweens at Coachella. Judging by the Spring 2016 runway shows, fringe continues to be on the rise. Designers such as Alexander Wang, Givenchy and Saint Laurent have taken the trend to the next level, lining everything from leather jackets to skirts to booties with fringe. One of our favorite ways to wear fringe is with a cross-body bag we can throw on with any outfit and immediately look "on trend." 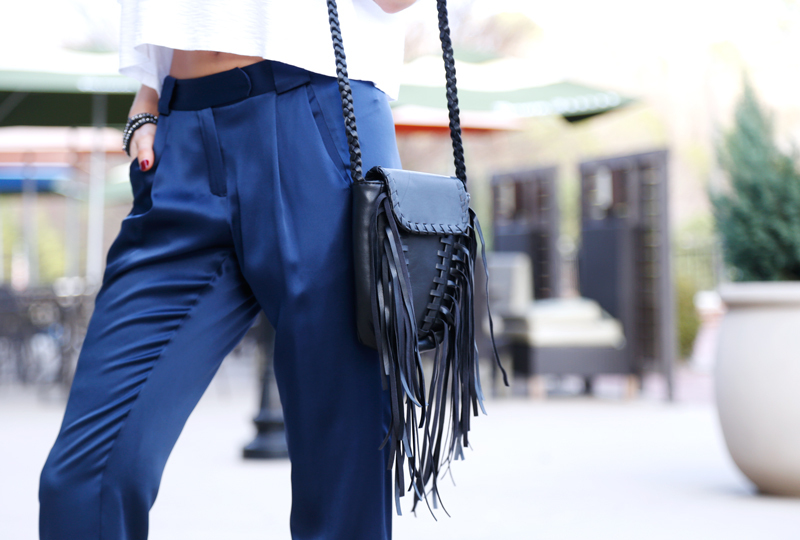 Check out how we styled 4 new fringe cross-body bags we love for now and long into spring and summer. Click here to shop all 4 bags online now, or click the pics below to shop your favorite before it sells out! Rebecca Minkoff's Universal Phone Bag features the perfect pocket to hold your smart phone and all the necessities to hold your ID, credit cards & change. Throw it on and be ready for a night out. This awesome bohemian-inspired cross-body features a braided shoulder strap, AND it's under $50!!! 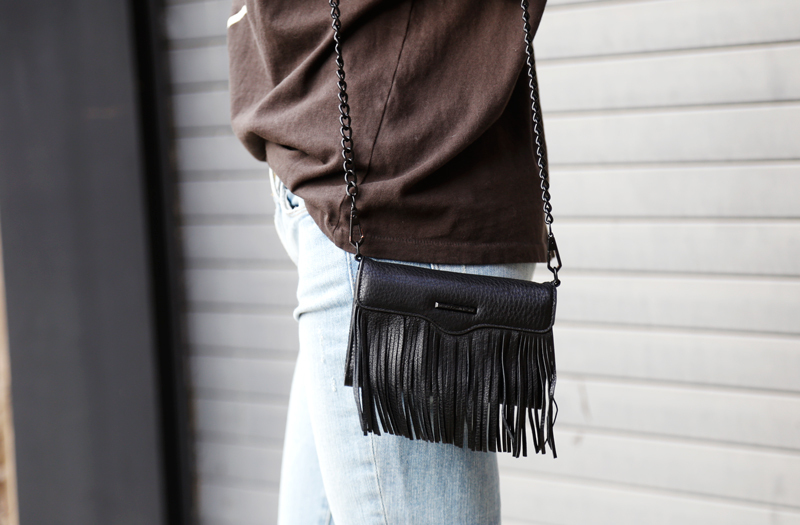 This Western-inspired fringe cross-body features studs, tassels & a concho buckle. If Saint Laurent is your designer crush, this bag was made for you.